How Much Should you pay for a website (2016 - 2017)? 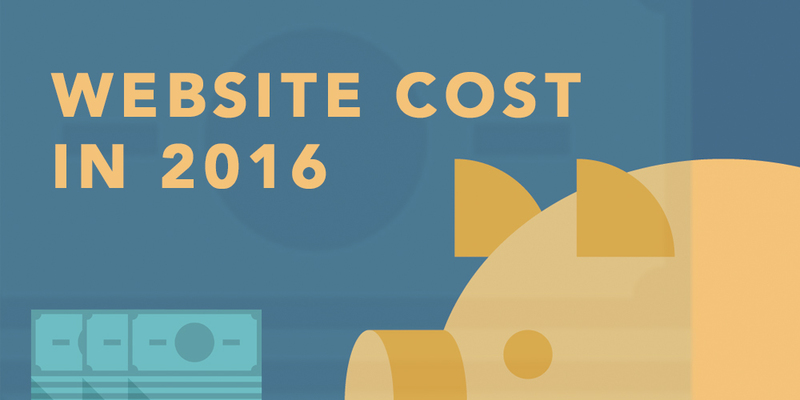 How Much Should Your Website Cost (2016 – 2017)? The perennial question for small business owners and startups all over the world is how much to pay for a website. If you do a basic search for different website prices, you will come up with an immense range of prices. There are freelance graphic designers and web designers who charge $500 to create a website, and then there are San Francisco/ Sacramento Firms who charge $50,000 to create a website. Front Street Media in El Dorado Hills/ Folsom is somewhere in the middle of these two prices and mainly on the lower end. 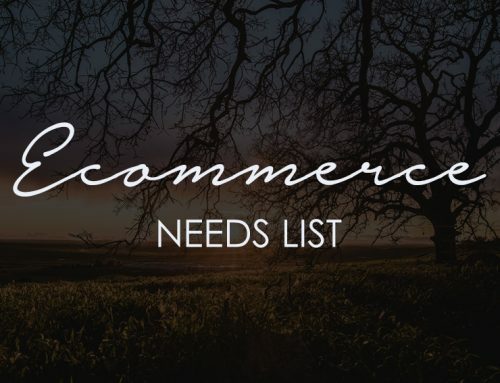 Somewhere in the $3000 – $7000 range; however, websites with Front Street Media can range anywhere from $15,000 and up if you are looking for an Ecommerce website on Magento or a similar platform as opposed to something like the WordPress CMS. If you are looking for a Sacramento Magento Web Design Company, give us a call, we are more than happy to help. The saying is “You get what you pay for,” but with a price range like that how do you even know what you are looking at getting? The question of how much you should pay for a website doesn’t have to be some arcane mystery, though. It’s simply a matter of determining what you need in a website, and matching those requirements to estimates based on the amount of work and expertise it will take. Therefore the first priority in asking, “How much should I pay for a website?” is to get completely clear about what you need. How much should A Business pay for a website? The fact is, websites are not one size fits all. Even from a single website developer, you are likely to find a huge range of prices, simply because of all the options there are. There are a few small business website design trends that you can follow, that will lead you to an overall cost, though. Are you looking for a simple blog that will have simple, text & images? Are you looking for social integrations, chat popups, newsletter integrations and all the bells? Do you want a custom website to look fancier than the free templates you can get at WordPress or Blogger? Do you want hundreds of different pages that you can use to organize your content and make it easy to find? Are you trying to drive traffic to a brick and mortar store? 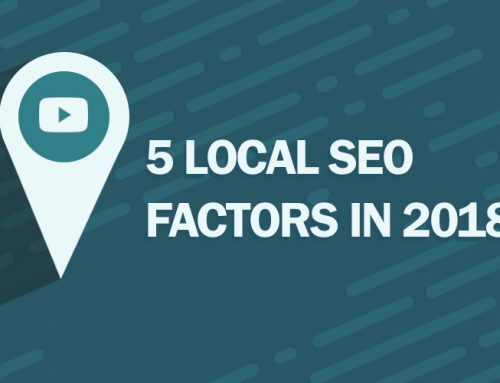 Is your main goal is to get local people aware that your business exists? Or are you looking to set up an extensive eCommerce store where you will be taking tons of payments online? 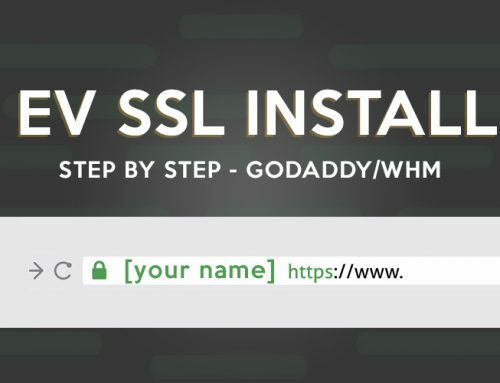 Do you know what an SSL is and do you know if you need one? How many visitors do you hope to get? How bad will it be for your business if you get too many visitors and your site crashes? What type of tech support and hosting are you looking to have for your website? Are you going to have flash? Do you want a responsive website? Tell me you know what responsive is. Do you have your content already written? These are just some of the things you need to consider when planning out your website, and these are some of the factors that will influence how much your website costs. One of the reasons web design prices are so various is because of responsive web design. In the first years of the Internet, websites were extremely expensive simply because very few people knew how to make them. Now, website creation is accessible to anyone who can create an account on WordPress. But there are many technical things that have changed, and the biggest one is responsive web design. Responsive web design simply means that your website design changes based on what screen your readers are viewing it on. It is extremely important for any business with a website, because people will be visiting your website from mobile devices. If they can’t see it well, if they have to zoom in and out to read the text and find menu items, they won’t come back. Responsive web design makes your website more expensive to build, but it is well worth the price in the improved user experience it will give your visitors. These days, every website theme and template comes out of the box already “responsive” but there are still many kinks that need to be worked out on the developers end to make sure everything is perfect. Furthermore, things are getting even faster to load with HTML frameworks like Accelerated Mobile Pages or AMP. If you are running a Content Management System like WordPress, It usually costs about $500-$1000 to add eCommerce functionality to your site. However, you should plan to spend much more on features, functionality, and extensions while moving forward. With eCommerce, you are constantly testing your shopping carts, paying for site security, and generally make sure that it is working perfectly all the time. On sites like WordPress, you can set up your own website for free in just a few minutes by using one of their templates. This is a good option for many people as long as your already have a logo design or brand identity already developed. With ready-made templates, you can plug in you logo design and change the colors based on your color specs. Front Street Media specializes in Sacramento Logo Design and Brand Identity Consulting in Sacramento. If you have any questions about starting a logo design project or your company is in need of Brand Development, give us a call. Building a website on a WordPress template is not always a bad idea because you can build a web presence without much investment. You can also go the free route if you use the .wordpress domain name and stick to the free templates). WordPress itself already has good SEO with the Yoast Plugin, so it is relatively easy to get your site to start showing up in search results for targeted keywords, if you are consistent about using those keywords in your content. The drawback to using ready made templates is that there’s really not a lot you can do with them. 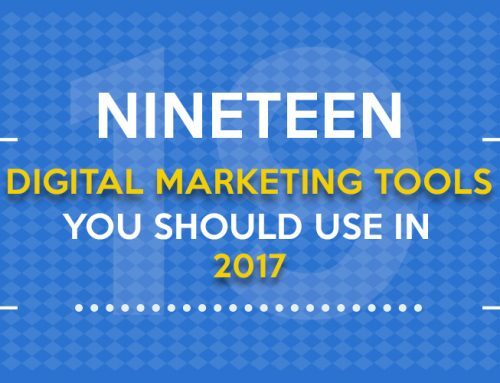 There are so many people using these free, ready to use templates that your site is not going to look original. And if you are wanting things like forms, flash animations, or eCommerce capability, you won’t find it on one of the consumer level blog templates. If you just need a way to showcase a personal project, this is a good option. But if you are looking for a way to show the professionalism and dependability of your business, this is not the best road to take to accomplish that goal. Your domain name is the core of your website, and one of the main reasons you don’t want to just use the free services. Your domain name should be memorable and particular to your business but its also a good idea to have a keyword or two in there. The more in demand a domain name is, the more it will cost. In addition to initially purchasing the domain name, you need to pay every year to renew it. There are some cheaper ways to get amazing domain names, though. Check out places like FreshDrop.com and DomCop.com instead of GoDaddy and Register.com for ideas on domain names that other people have let expire, who knows you could get something pretty amazing. There are many options available for website hosting. You can get hosting for free, but you won’t be able to put very much up or handle a large flow of visitors. You can get cheap hosting for prices ranging from $1 a month to $10 a month. You can get really expensive hosting with dedicated servers and VPS hosting providers from $30 a month to hundreds of dollars per month. The more you pay, the better your tech support will be, the more you can put on your site, and the more visitors your site will be able to handle. Also, the more support you have for your website means that your web developer is probably doing website backups and security updates. This is very important, especially if you are using a CMS that is prone to attacks like WordPress. The content management system, or CMS, is what allows you to put up new content or make changes to your website without getting into the raw code. There are many content management systems to choose from, including WordPress, Magento, Drupal, and many others. 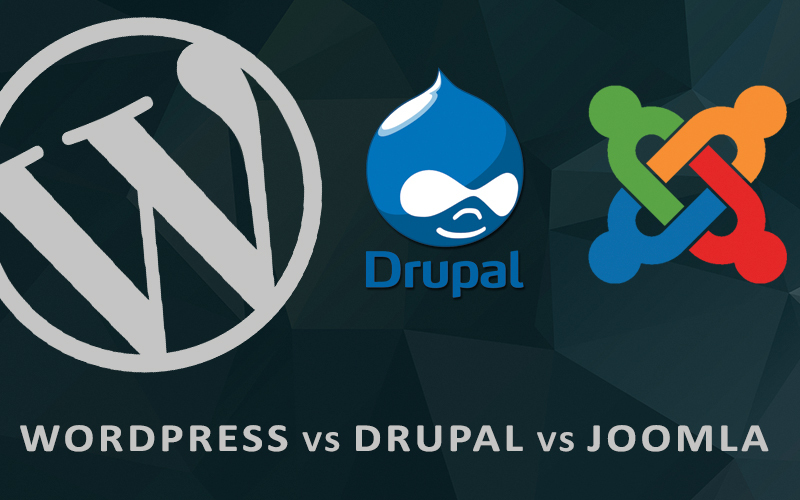 Take a look at our post on WordPress Vs. Joomla Vs. Drupal for more information on content management systems and which one may be right for you. There is also a relatively new Content Management System out by Adobe (Business Catalyst). Adobe Business Catalyst is a great all-in-one Content Management System but seems to be lacking some core features and functionality that some of the other have. Check out our recent post on the Adobe Business Catalyst Review for more information on the Pros and Cons or BC. 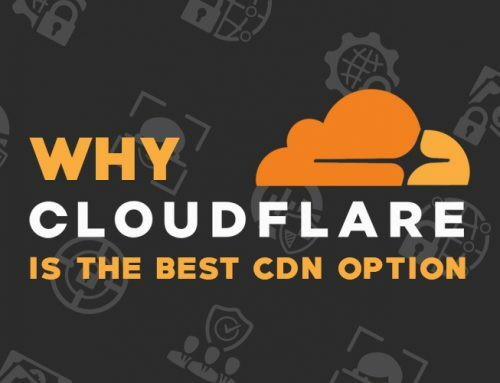 Flash costs quite a bit to create for your site, but it also makes your website look really impressive. This is definitely an area where you must weigh the image you want to project against the money you want to spend.